Add glamour and elegance to any studio space or bedroom with our brass clothes rail. 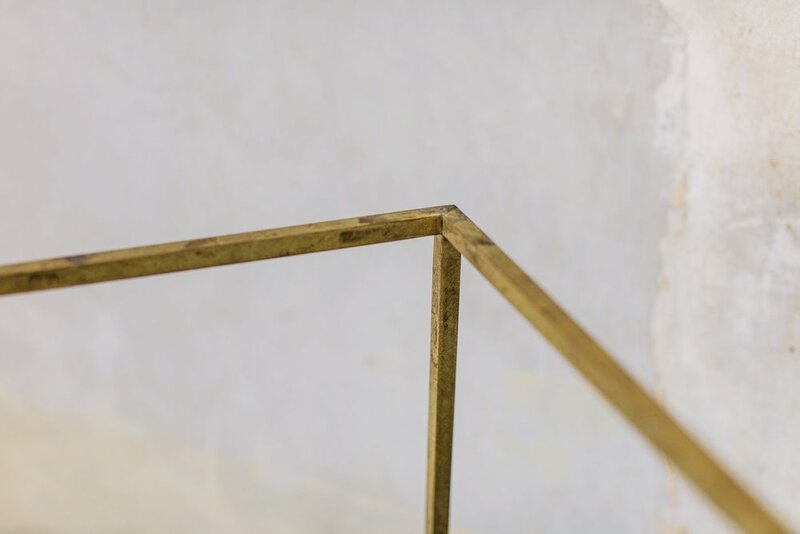 Our interpretation of a clothes rail takes the form of a squared, sculptural minimalist brass frame. Form and function intersect at every joint. This contemporary piece lends itself to multiple applications and locations. Square off any space with its iconic style and sublime simplicity. Add this piece of handcrafted Irish-designed furniture to your collection.